Summer math packets are for 2018-2019 Middle Schoolers only. They are based on the math course your child completed during the 2017-2018 school year. As the Math Department, we would like to strongly encourage each student to have their own scientific calculator as they begin sixth grade. It is important that students have their own calculator and bring it to class every day to become familiar with how it works. This piece of technology will be used throughout their time at PAMS and will be sufficient for all math classes and state assessments taken here at the middle school. 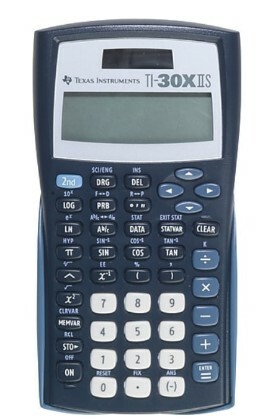 If you are debating about what type of calculator to purchase, we recommend either the TI-30XIIS or the TI-30XS Multiview calculator. Both calculators will perform necessary functions and are similar in cost (each under $18 from Staples, Target, Walmart, or Amazon). Once your student has their calculator, please have your student write his or her name on the back of the calculator in permanent marker so we can return it if it is lost.